Springhill, NS; It is with deep sadness that we announce the peaceful passing of Paul Lesmere St. Peter, age 68, after a courageous battle with cancer. Paul passed away at the Cumberland Regional Health Care Centre on Sunday, September 2, 2018 with family by his side. Born in Springhill, NS, he was a son of the late Anthony and Jessie (Ripley) St. Peter. Paul moved to Toronto when he was young to work as a mechanic for Peel Truck and Trailer. He met his wife while up there. After 30 years, having gravitating home a few times, they returned to Springhill where he worked for the Town of Springhill. He was a very friendly person; he would talk to anyone and help everyone whenever he could. He will be sadly missed by his wife, the former Barbara Jean "Barb" Crossman, Amherst, NS; daughter Rhonda (Vincent) Facchini, Toronto; two grandchildren, Danielle (Ernie) Huygens and Adrian; four great grandchildren Alyssa, Khloe, Lucas and Heartley; brother James (Heather) St. Peter, Ontario; sisters-in-law Bonnie St. Peter, Springhill and Darlene St. Peter, Ontario; several nieces and nephews. He was predeceased by a grandson Daniel and brothers Bernard and Leo. Arrangements have been entrusted to A H Brown Funeral Home, 5 McFarlane St., Springhill, NS (902-597-2361). Cremation has taken place. A public graveside service will be held from the North Street Roman Catholic Cemetery, Springhill, NS on Thursday, September 6, 2018 at 11 am, Major Max Snow officiating. Those wishing to make a donation in Paul's memory may do so to the Cancer Society, or the charity of your choice. 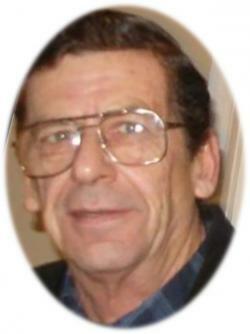 Sharing of memories and condolences may be sent to the family by visiting Paul's online memorial at www.brownsfuneralhome.com or through the A H Brown Funeral Home Facebook Page.